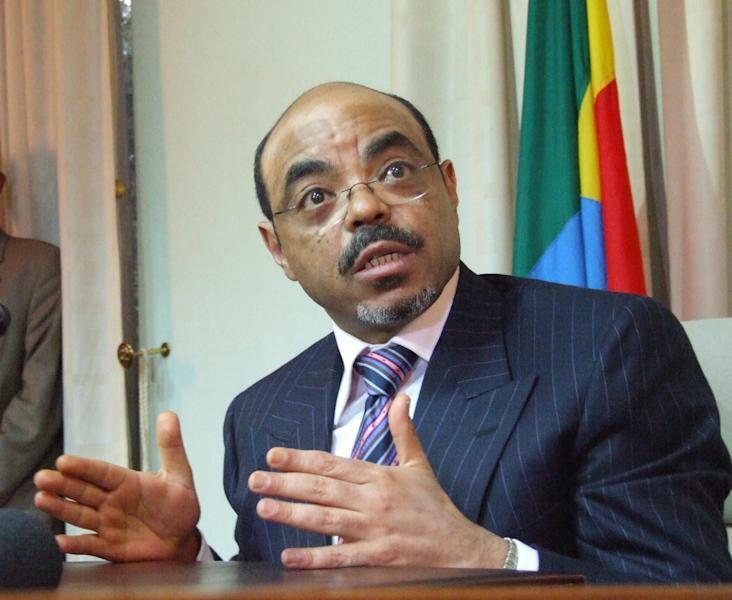 ADDIS ABABA, Ethiopia (AP) — Meles Zenawi, Ethiopia's long-time ruler who held tight control over this East African country but was a major U.S counter-terrorism ally, died of an undisclosed illness after not being seen in public for weeks, Ethiopian authorities announced Tuesday. He was 57. 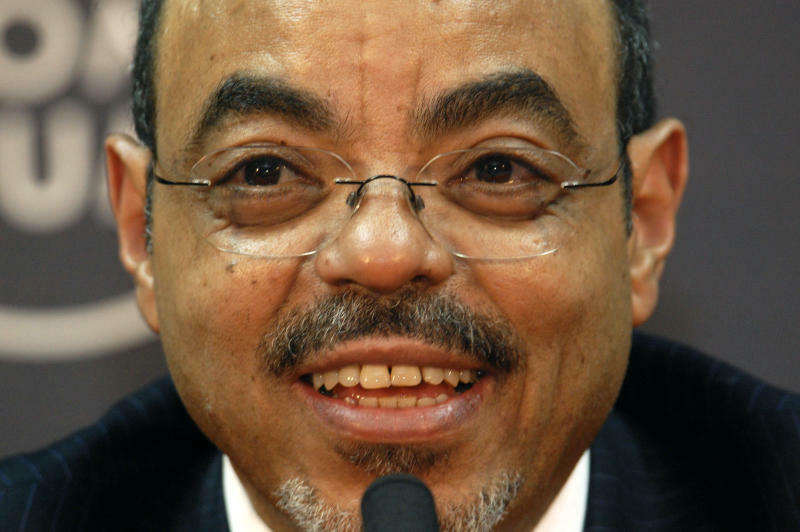 Meles died Monday just before midnight after contracting an infection, state TV said. Hailemariam Desalegn, who was appointed deputy prime minister and minister of foreign affairs in 2010, became acting prime minister and will be sworn in as prime minister after an emergency meeting of parliament, said Bereket Simon, the communications minister. Parliament is controlled by Meles' ruling party and governing coalition, ensuring Hailemariam will be approved. No new elections will be scheduled, Bereket said. Bereket did not say where Meles died, only that he was abroad for medical treatment. Officials had expected Meles to return to Ethiopia but a sudden complication reversed what had been a good recovery, he said. A European Union spokesman said that Meles died in Brussels. Meles hadn't been seen in public for about two months. In mid-July, after Meles did not attend a meeting of heads of state of the African Union in Addis Ababa, Ethiopia's capital, speculation increased that his health problems were serious. Ethiopian officials gave no details and said the prime minister was in "very good" health and would return to office soon, but international officials said quietly it was unlikely he would recover. State TV on Tuesday showed pictures of Meles as classical music played in the background. Simon called the death shocking and devastating. The country's council of ministers declared a national day of mourning. Opponents of Meles accuse him of killing and jailing opposition members and of rigging elections. Ethiopia's Somalia community in particular has suffered under Meles, who won his last election in 2010 with a reported 99 percent of the vote. Jose Manuel Barroso, the president of the European Commission, offered his condolences to the Ethiopian people, praising Meles' development work and calling him "a respected African leader." But he also expressed concern about the state of democracy in the country. Born on May 8, 1955, Meles became president in 1991 after helping to oust Mengistu Haile Mariam's Communist military junta, which was responsible for hundreds of thousands of Ethiopian deaths. Meles became prime minister in 1995, a position that is both the head of the federal government and armed forces. The U.S. has long viewed Meles as a strong security partner and has given hundreds of millions of dollars in aid over the years. U.S. military drones that patrol East Africa — especially over Somalia — are stationed in Ethiopia. The U.S. goal for Somalia — a stable government free of radical Islamists — is in line with Ethiopia's hopes. Though a U.S. ally, Ethiopia has long been criticized by human rights groups for the government's strict control, and Meles' legacy is likely to be mixed: positive on the economic development side and negative on the human rights side, said Leslie Lefkow, the deputy director for Human Rights Watch in Africa. Meles brought Ethiopia out of a hugely difficult period following Mengistu's rule and made important economic progress, she said, but the ruling party has been too focused on building its own authority in recent years instead of building up government institutions. During Meles' election win in 2005, when it appeared the opposition was likely to make gains, Meles tightened security across the country, and on the night of the election he declared a state of emergency, outlawing any public gathering as his ruling party claimed a majority win. Opposition members accused Meles of rigging the election, and demonstrations broke out. Security forces moved in, killing hundreds of people and jailing thousands. Meles was the leader of a political coalition known as the Ethiopian People's Revolutionary Democratic Front. He was also the longtime chairman of the Tigray People's Liberation Front and has always identified strongly with his party. Under Meles, Ethiopia saw strong gains in the education sector with the construction of new schools and universities. Women gained more rights. And in the mid-2000s Ethiopia saw strong economic growth, which won Meles international praise. The International Monetary Fund in 2008 said Ethiopia's economy had grown faster than any non-oil exporting country in sub-Saharan Africa. Despite those gains, Ethiopia remains heavily dependent on agriculture, which accounts for 85 percent of the country's employment. Per capita income is only about $1,000, or roughly $3 a day. 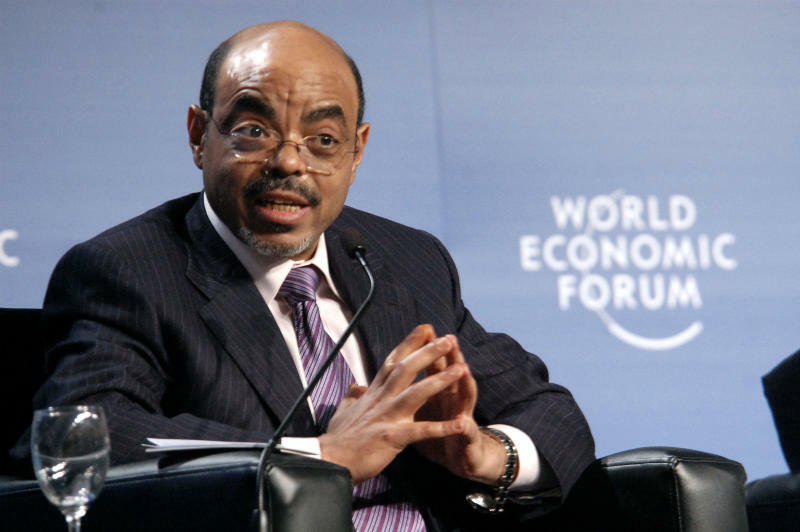 Though he won accolades for economic progress, human rights groups have long denounced Meles' government for its use of arbitrary detention, torture, and surveillance of opposition members inside Ethiopia. The ONLF, an opposition group that mostly consists of ethnic Somalis, has openly clashed with the government, including in 2007 when Ethiopia sent troops to Somalia to fight al-Shabab militants. The ONLF said Tuesday that Meles' death is an opportunity for a new government to "initiate a new era of peace, stability, freedom and justice for the people of Ogaden and not to pursue the failed policies of the past." At the end of 2006, Somalia's U.N.-backed government asked Ethiopia to send troops into Somalia to try to put down an Islamist insurgency. Ethiopian troops moved into the country and captured Mogadishu, but the Somali population rebelled against what it saw as an occupation and Ethiopian forces withdrew in 2009. Ethiopia again sent troops to Somalia in early 2012 as part of an increased international effort to pressure al-Shabab. Uganda, Burundi and Kenya all have thousands of troops in a coalition under the African Union, though Ethiopia's forces are not part of the coalition. Earlier in Meles' tenure, from 1998-2000, Ethiopia fought a border war with Eritrea, a conflict that resulted in tens of thousands of deaths. Meles is survived by his wife, Azeb Mesfin, a member of parliament, with whom he had three children.